Studio and Garden: At the Hood Museum: "Cubism and Its Legacy"
There are currently two shows at the Hood Museum of Art that highlight the brilliance of Pablo Picasso: one is a marvelous exhibition of the entirety of Picasso's Vollard Suite of prints, 100 intaglio prints made between 1930 and 1937; the other centers on the influence of cubism over decades. 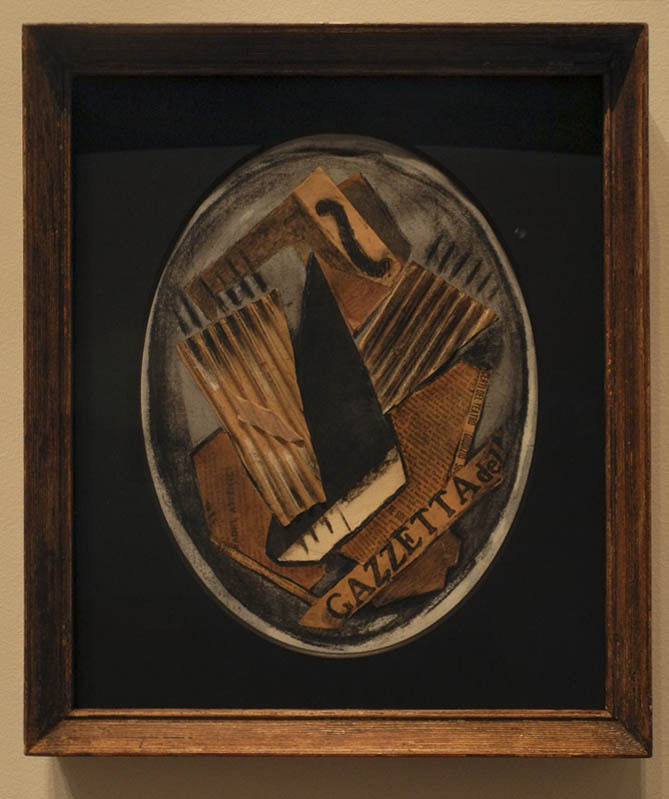 Because I could not photograph the prints in the Vollard suite––the Picasso estate keeps tight control over the images––I will not write about it, except to say that the prints are vivid, ferocious, lyrical, exploring a range of expression in a black and white medium. 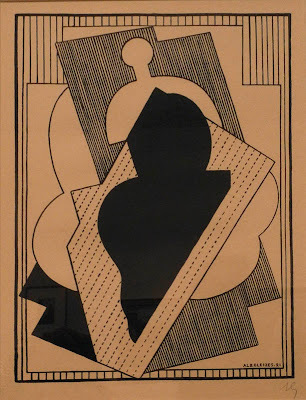 I was especially taken with his quality of line, which in many cases reminded me of Matisse's prints and drawings. 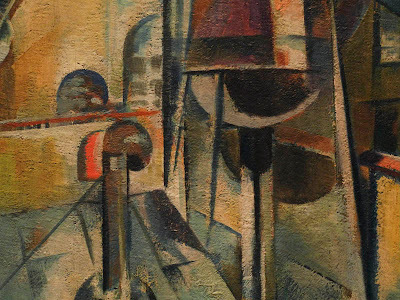 I was allowed to photograph the work in the exhibit "Cubism and Its Legacy", drawn from the museum's extensive collections, a fascinating survey showing the enduring interest in cubism's way of seeing the world. 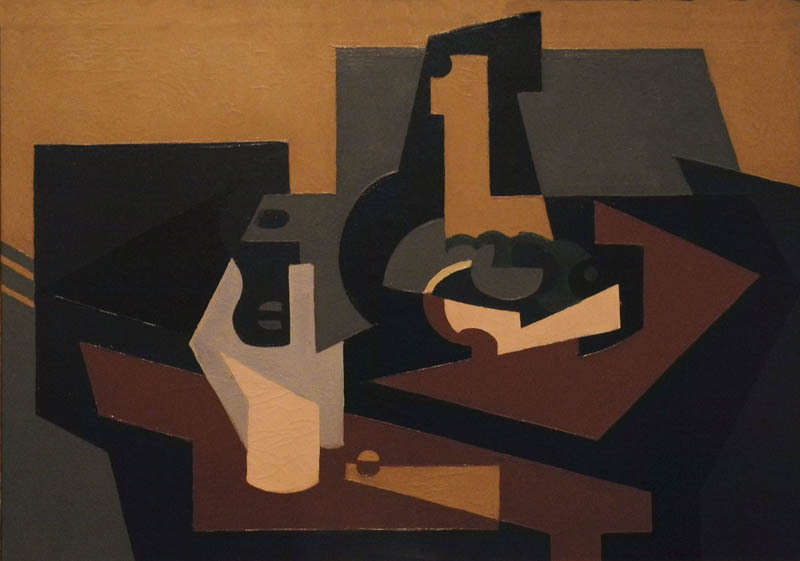 Picasso and Braque are credited with beginning this taking apart of the visual world and reassembling it in flat planes, a new understanding of form. The Hood has a beautiful Picasso that is a starting point for the exhibition. 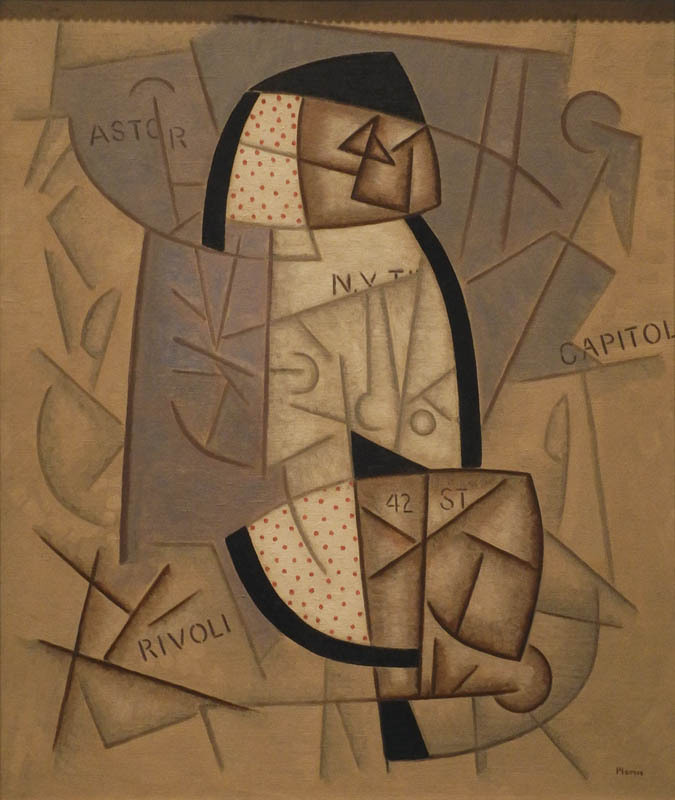 I love the way Picasso handled paint in this work, adding texture, an illusion of wood (a nod towards collage, which jump started synthetic cubism), and lines of charcoal to delineate shapes. 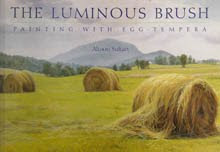 It is a very elegantly balanced painting, fresh and full of light. 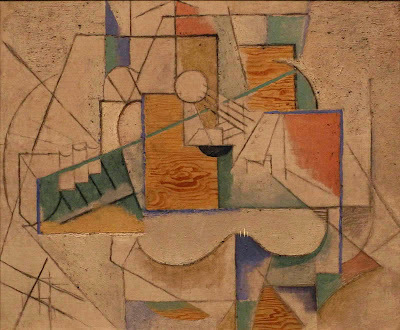 Much of Picasso's cubist work is subdued in color, so it was a surprise to see this intensely colored (pink!) 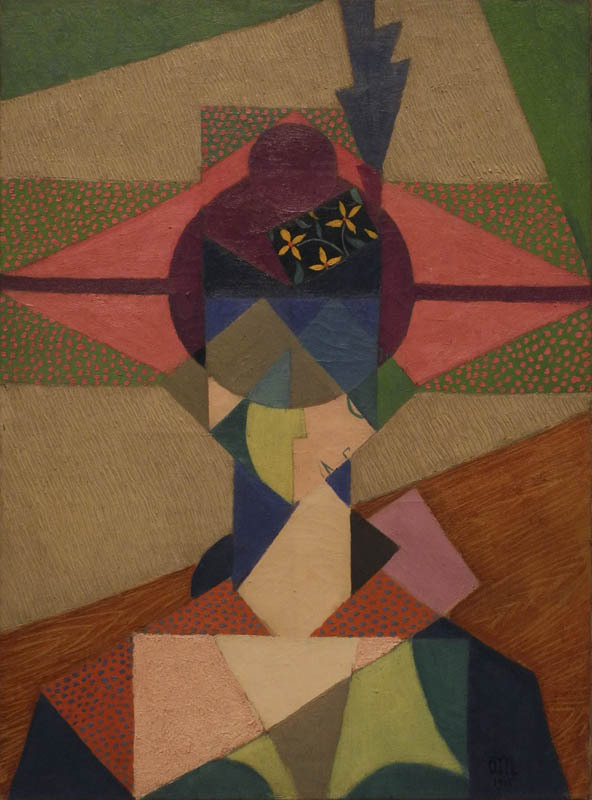 painting by Metzinger; I found it quite amusing. A more beautifully somber work is by Maria Blanchard, using dramatically simplified flat shapes. 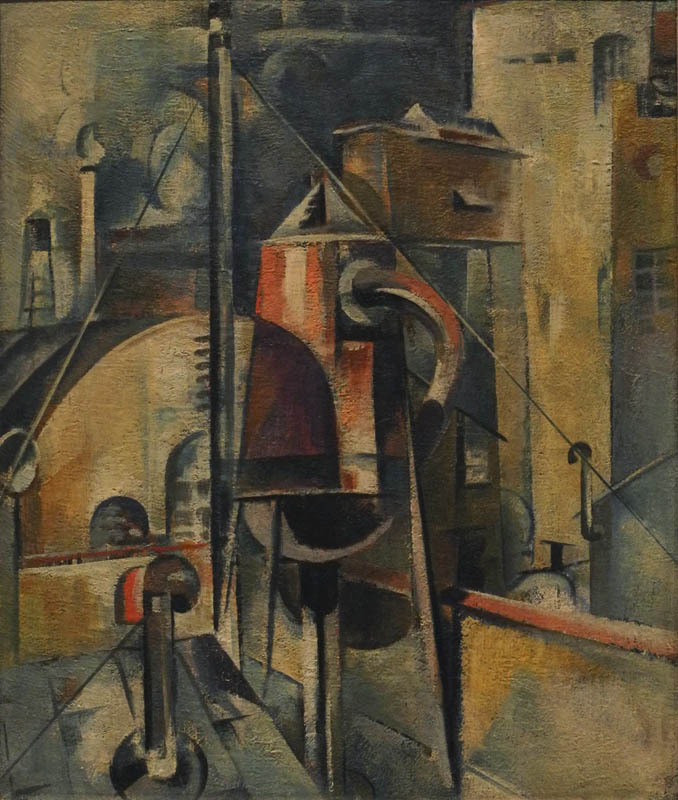 Dickinson, who had spent the years 1910-14 in Paris, took the ideas of cubism and applied them to the American industrial landscape. I thought this work beautifully painted, and it seemed related to the Picasso in its use of texture. 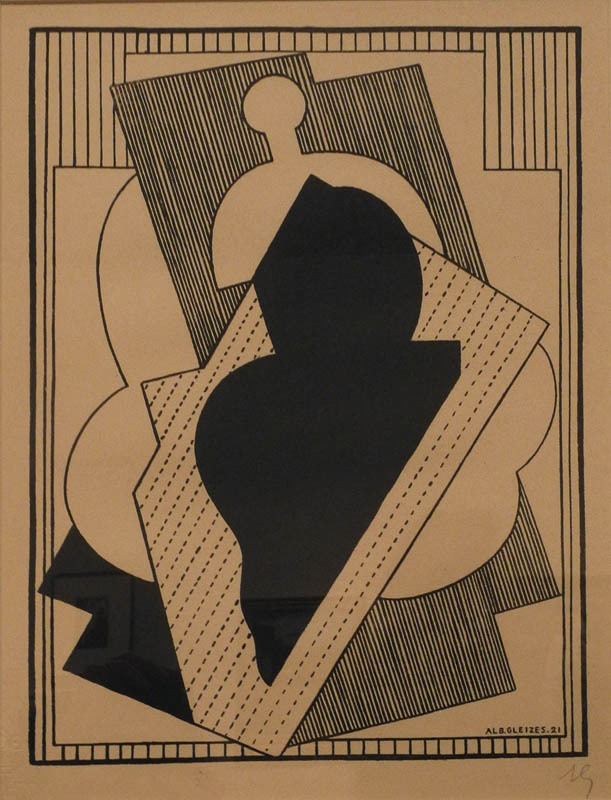 In this lithographic print, Gleizes moves from the complexity of his earlier cubist work to simplified flat planes, similar to those in the Blanchard painting above. ...it was cubism's shift away from representation and toward flatness and abstraction that made such a radically subjective form of painting possible. 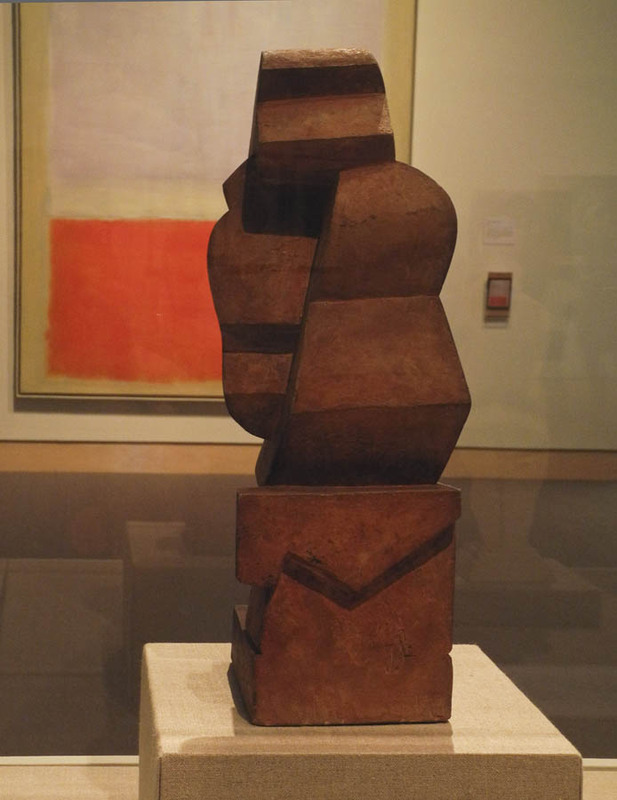 It seems to me that the writer forgot all the other forms of abstraction that flourished in the early 20th century, abstraction that was non-objective, which Picasso's cubism never reached. (I wrote a post on a great show at MoMA on this period, "Inventing Abstraction", which you can read here.) It's so interesting to me that Picasso tiptoed up to the edge of non-objective painting, but then backed away and was always tied to representation, however abstracted. 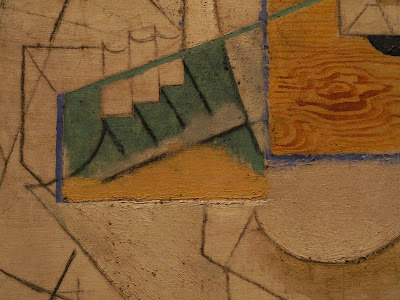 We can see the architectural landscapes of Ault and Hartung as influenced by the flat, overlapping planes of cubism. Their work is also included in a American style of painting at this time known as Precisionism; other artists in this movement are Charles Sheeler. Charles Demuth, and Elsie Driggs. I was surprised at the date on this terrific collage by Frelinghuysen; it seems to fit right into the heyday of cubism much earlier in the century. 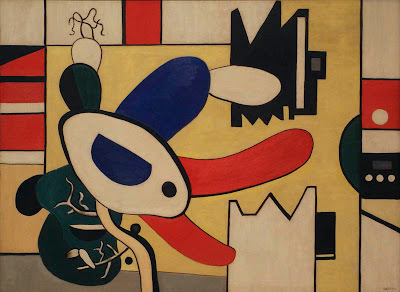 This is a very wacky Leger, a combination of cartoon and abstraction, and a soupçon of surrealism thrown in. 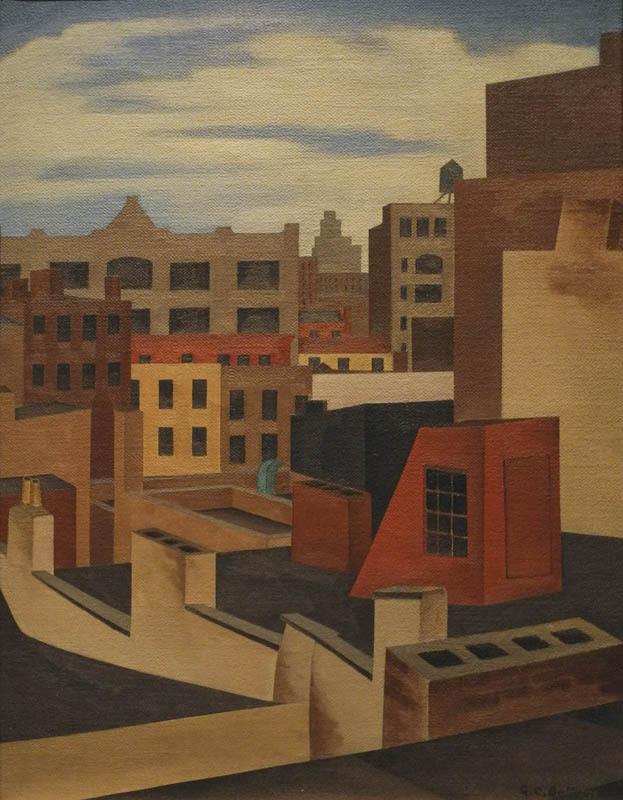 Morris approached the the city in a different way from Ault and Dickinson; rather than buildings or industrial structures overlapping in space, a bird's eye map jumps with energy. 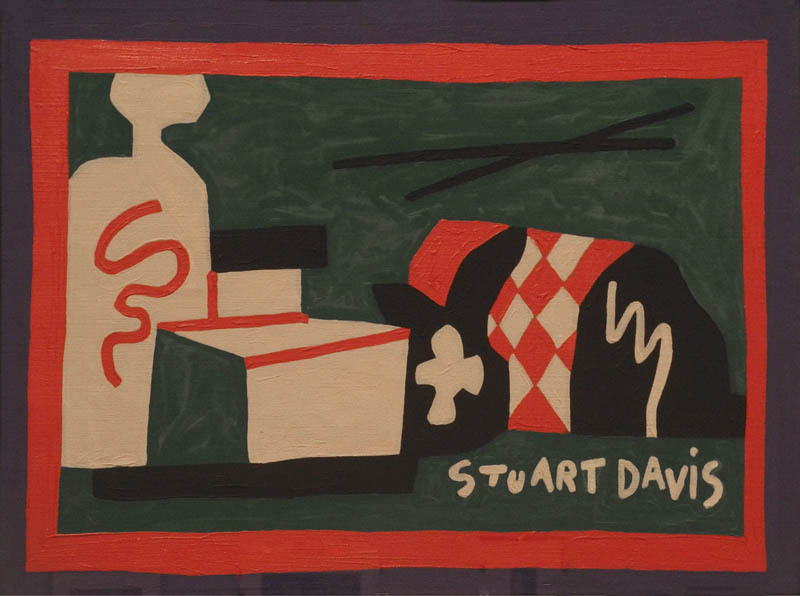 I have a soft spot for Stuart Davis's paintings; they seem to me full of a joyous mood found in ordinary subjects. Even the fact that he splashes his name across the picture pleases me, something I don't forgive in others. Here it is a "wow, what fun that I did this!". The most recent work in the show, and a fine example of the continuing vitality of cubism, is this wonderfully lively sculpture by Mel Kendrick. 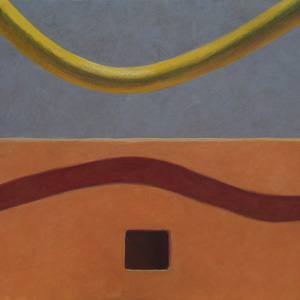 Although my taste in abstraction runs to the more minimalist geometric variety, I really enjoyed the breadth of this small show, full of surprises and pleasures. 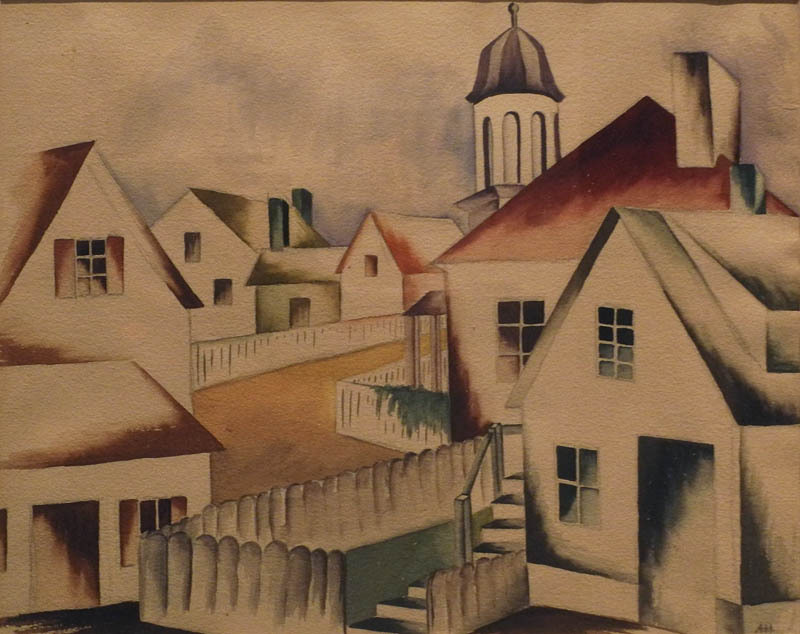 In Provincetown draws me in like a misty dream. Never got to the Hood. Will go there next summer. 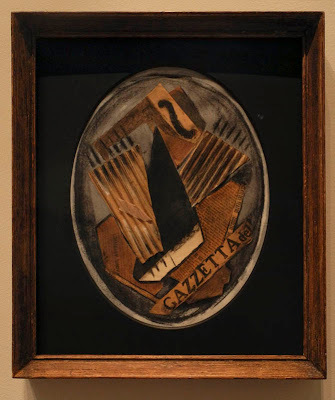 It's worth a visit, Cecelia; it's a small museum that mounts a lot of interesting shows. What a fantastic post! 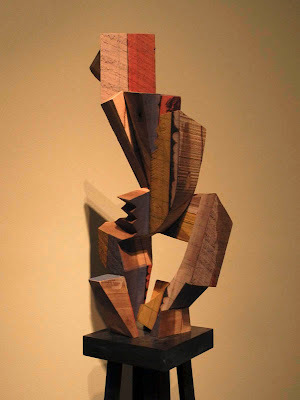 Many new artists and works for me put in context by your astute comments. Though Leger is not normally compelling to me, I was enchanted by this flower ptg. Thanks, Julie, glad you enjoyed it. There was more I would have liked to show, but many of the works were under glass and I didn't get good photos.